Last month, Bandai-Namco announced that Dark Souls Remastered will be released on October 18th in Japan, and October 19th in Europe and North America. 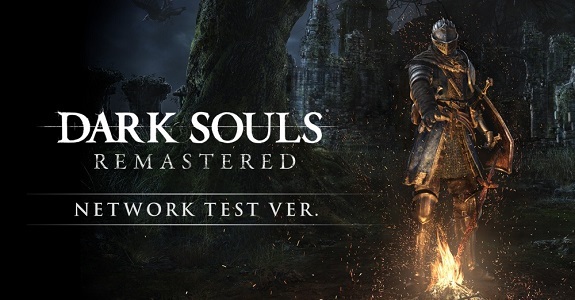 Despite the delay, there will be a network test, like there was for other platforms earlier this year, but no date was given when the release date was announced.And today, it’s been announced that the Dark Souls Remastered: Network Test will take place this week-end. If you want to take part in this network test, you have to download the free client available from the Nintendo eShop. You can find a link on this page, but you can also download it directly from the Nintendo eShop! The client requires 888MB of free space on your Nintendo Switch. The network test takes place in the Undead Parish, and you have access to both Single Player and Multiplayer content. For those wondering: yes, you need a Nintendo Switch Online subscription to take part in the Network test, and no, you cannot transfer your progress to the full version of the game. The following languages are available: English, Spanish, French, German, Italian, Russian, Korean, Chinese, Japanese, Portuguese. Dark Souls Remastered (Switch) comes out on October 18th in Japan, and October 19th in Europe and North America.